Finding happiness in a world of selfies. 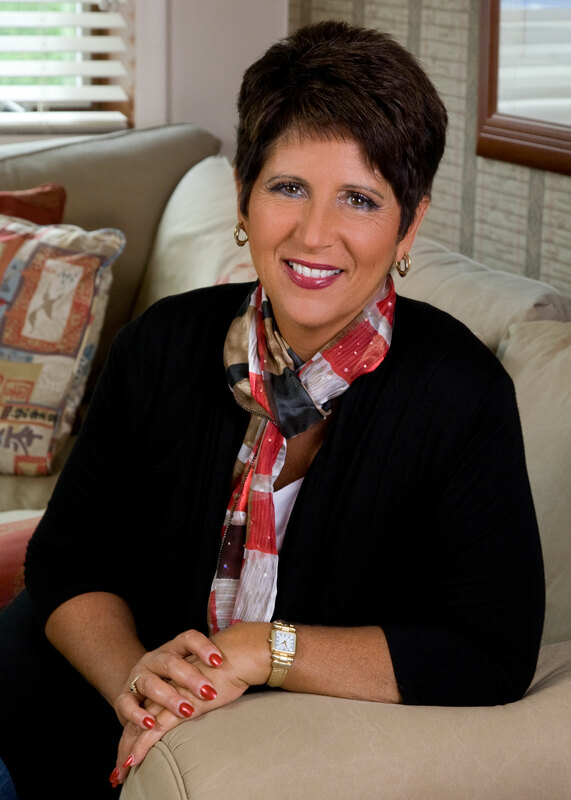 Teresa Tomeo is a lay Catholic author, syndicated talk show host and motivational speaker. She writes a column for Our Sunday Visitor, hosts The Catholic Connection for Ave Maria Radio and co-hosts The Catholic View for Women cable television show on EWTN. The author of six books and owner of her own media company, Ms. Tomeo lives in Detroit with her husband Dominick Pastore, a permanent deacon. She is an alumnus of Central Michigan University. Ms. Tomeo's latest book, Beyond Me, My Selfie, and I: Finding True Happiness in a Self -Absorbed World, was published by Servant Books in September. On Oct. 14, I interviewed her by email. It came out of my own experience of once living only for myself. My former way of living—putting everything into my career and ignoring every other aspect of my life—almost cost me everything. Now this attitude of “it’s all about me” is everywhere, even among Christians. Too many believe that the universe revolves around them and they can make up all their own rules. The selfies aren’t the main problem. They’re a bi-product of our self-consumed culture. You’ve worked in journalism for more than 30 years, including jobs as a TV news reporter and anchor in the Detroit area. Since 2000, you’ve focused on writing and speaking for Catholic media. What role does your personal background play in this new book? As I said, I was very far away from God and the church, as was my husband. I am speaking from lots of experience and not from some high and mighty or holier than thou position. I am hoping that somehow people can learn from my mistakes. God really does have the best plan for our lives. God always forgives us if we have a contrite heart. The Sacrament of Reconciliation is such a blessing and gift. But God also offers a better way. We shouldn’t have to put ourselves and our souls in possible jeopardy in order to find that out. The church teachings saved my marriage and my life. My husband and I have seen folks who simply get lost in the culture and have not been able to find their way back. The temptations, due in a big way to the explosion in mass media, are much stronger now than ever before. Anyone concerned about the impact of the mass media and culture. I am also hoping readers will discover or re-discover the beauty of God and his church. The title of your new book refers to “me,” “I” and “my selfie.” How do you understand each of these things? Well we as Christians believe in the Holy Trinity: Father, Son and Holy Spirit. The Trinity in many ways has been replaced by this attitude that the person in the mirror is in charge. Jesus or the church are great when we want or need something, but when it comes to making moral decisions or giving ourselves over to God’s will, forget about it. Instead it’s all about personal feelings and emotions. We have lost a true sense of formation of conscience as well as an appreciation and even basic understanding of the natural law. Looking back to your life from childhood to today, what have you learned from your own experiences about finding happiness? You describe yourself as a “Catholic revert.”What led you away from Catholicism? There wasn’t a particular teaching or event that led me away. I didn’t get angry or upset at the church or anyone inside the church. It was just the pull of the culture. Following eight years of Catholic grade school I began pushing God aside. I went to Mass with my family but beyond that it was all about moving ahead with my career goals. Everything was going very well in my life, so I didn’t think about God much at all, not until I hit rock bottom. How has your faith grown or evolved over the years? Well, it’s still evolving and growing. I heard someone say once that if we’re still here God is not through with us yet. I can say that I truly understand what it means to know Jesus personally. I came to Christ in my darkest moments because I just didn’t know where else to turn. Once I asked Jesus to take the wheel, so to speak, that’s when my life and marriage began to turn around. Gradually my husband and I both started to take our Catholic faith seriously and, go figure, actually read and study church documents and writings of the saints. We also both enrolled in Bible studies. We were half thrilled and half angry when we began our journey because we realized we knew so little about Catholicism. Why hadn’t we heard or learned about any of what we were studying? My absolute favorite saint is St. Teresa of Avila. I just love her honesty and her directness with God. St. Catherine of Siena is also tops on my list as well as St. Augustine and St. John Paul the Second. And I am a huge fan of the writings of Benedict XVI. What’s that been like for you to be the wife of a deacon and to hear him preach on Sundays? I am very proud of him. He is the one who, through prayer and the intercession of the Holy Spirit of course, brought me back to the church. But he is very grounded and extremely caring and gentle at the same time. He has a great deal of spiritual wisdom and knowledge but has a beautiful and loving way of teaching the truth. That there is no place like home; in the arms of Christ within the one, holy, Catholic and apostolic church.